A mother was teaching her three year old daughter The Lord's Prayer. For several evenings at bedtime, she repeated it after her mother. One night she said she was ready to solo. 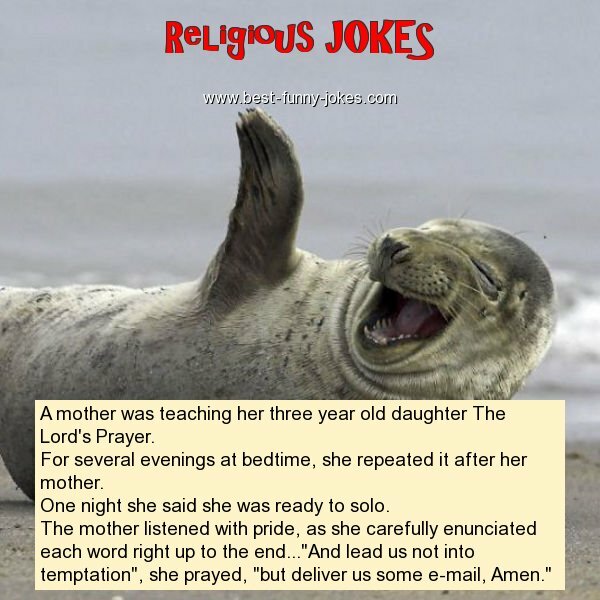 The mother listened with pride, as she carefully enunciated each word right up to the end..."And lead us not into temptation", she prayed, "but deliver us some e-mail, Amen."